Team Z : Summon smartly the Super Heroes for your guild, choose your strategy and lead your champions to victory killing legendary bosses and their legions. Fight and earn experience on the battlefield to level up your heroes and raise their power. Choose your heroes, evolve them, enhance their skills and defeat other players in PVP contests! Play now the best turn based game! Enter the ARENA and demonstrate who is the real boss. Participate in epic PLAYER VS PLAYER encounters and reach the top of the ONLINE RANKINGS. Try the COOPERATIVE MODE with your friends and defeat the most difficult RAIDS! A war between different bands of Superheroes has started. Their only goal: To control Cubepolis, get Super Cubes, Crystals and use its power to become the strongest human on Earth. So summon your own band of heroes and smash the monsters, warriors, gangstas and other Superheroes to save the world! Manage your heroes at the Operation Center, send them to a new adventures and clash other Superheroes. Create new Superheroes and build your ultimate Team Z. Gain experience, upgrade your skills and obtain the precious Z Substance to make your hyper heroes reach their TOP LEVEL! Collect hundred of heroes and try tons of fusions: Like “Huntercat” with his claws and feline movements; Heatgirl, with her hot flames; Bowman, with his lethal shoots… and many more! Each champion has unique and powerful skills to defeat the bad guys in the dungeon and the arena! Tons of marvelous heroes with special attacks, can you collect them all? Loot the dungeons you’ll find through your adventure. Equip your team with the most powerful and destructive arsenal and gear. New amazing champions in each update, the adventure never ends! Only the bravest guilds could win the First Division Title. The real League of Justice take place here! Found your guild and reach the top of the PVP Rank slaying players around the world with your hyper heroes. Charge your squad of Superheroes through the dungeons in this marvelous RPG! Call your friends and drive your guild to the #1 in the CO-OP MODE! 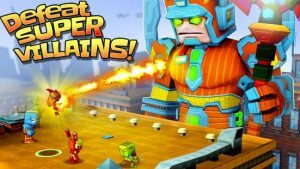 Collect Super Cubes and use them to transform simple humans into Superheroes and fight against the evil forces. FUSION two or more heroes to enhance their power and strength them! Train the warriors for the battle in your base and set your own League of Justice to face the enemies of contest of champions. Summon the champions you need in each situation and use the correct magic skill. Attackers, defenders, supports… many different roles in this RPG battle game. Lead your band of heroes in turn based battles and become a Superhero! Participate in the Events and the Skyscraper to earn special rewards and experience for your super team of heroes. Explore the streets of a square world where humans with cubic heads clash each other for the control of Cubepolis. Defeat all the evil super Bosses in your way and take control. Hopefully, the devs will read this… Overall the game is great, cute characters, personal customization, and like other games, grinding is a must for free to play. But since this is more about grinding, my SUGGESTION is please ADD an option where you can set the auto grind for at least 10 rounds or until energy is consumed. Thank you and hope for a better reply. Hi! Thanks for your comment. 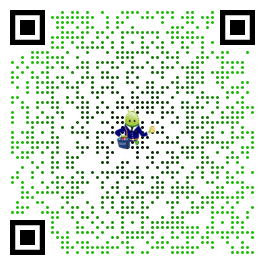 We were thinking about something like that, maybe we add it in future update 🙂 Follow us in www.facebook.com/teamzgame/. Have a good day!